Dinner: Sunday - Thursday: 4:00pm - 11:00pm, Friday - Saturday: 4:00pm - 1:00am. Weekend Brunch: Saturday - Sunday: 9:00am - 4:00pm. 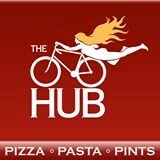 Part of Harmon Brewing Company’s growing list of neighborhood family restaurants, The Hub restaurant brand has been a favorite for Tacomans and their friends and families since 2008, when the flagship North Tacoma location opened its doors.